I really hate that they went with rooted hair. Her hair is short enough this time around they could have gone sculpted and it'd look so much better and hardly hinder articulation. Pass for me. 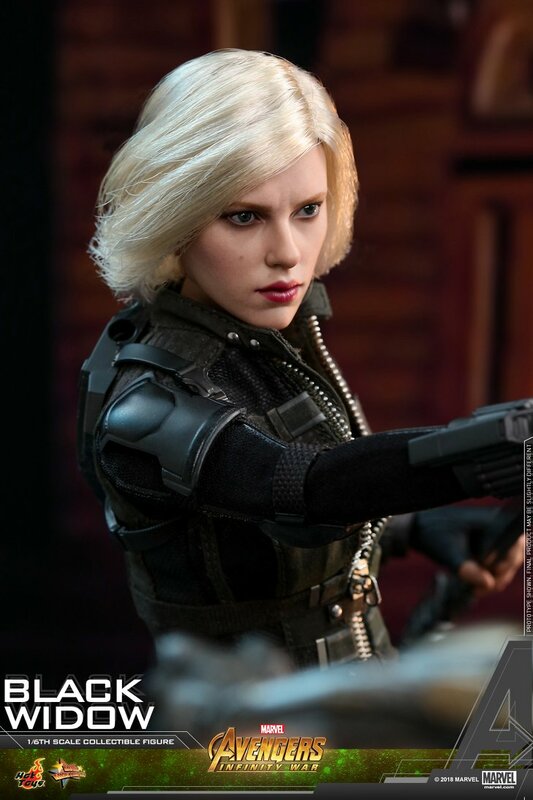 Hot Toys continues to demonstrate that they have practically no idea what Scarlett Johannson looks like. Ugh yes why do rooted hair and not sculpted. Her hair is short enough to be sculpted. Ya I don't get why they can't seem to get the look of Scarlett Johannson right.